The rapid adoption of renewable energy sources, such as wind and solar, poses new threats to the stability of modern power systems across the U.S. and worldwide. To address these risks and help ensure a steady supply of energy to homes and businesses, a Washington State University mathematics professor has received a $200,000, three-year National Science Foundation grant to examine worst-case impacts of increasing uncertainties in power flow — such as from renewable energy sources. 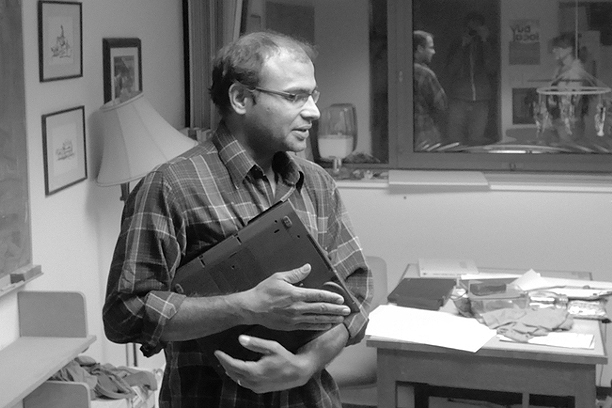 Bala Krishnamoorthy, associate professor in the Department of Mathematics and Statistics at WSU Vancouver and an expert in nonlinear systems and optimization, is using algebraic topology and convex analysis to develop efficient algorithms for producing robust versions of power flow. He is also developing new methods to approach optimal power flow problems. While the research will apply mainly to energy systems — such as the power grid — Krishnamoorthy said the mathematical methods he is developing will be “fairly general” and could be scalable and applied to problems in other domains, such as gas distribution networks.